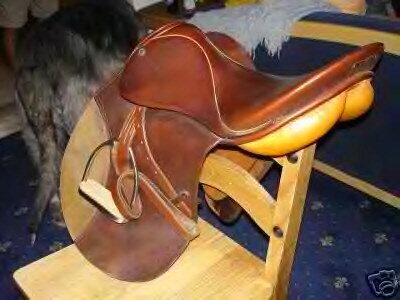 German Saddle 17.5" Lemetex older model but very comfortable. 18.5" in excellent condition, little used. Complete with Girth, Irons and Stubben leathers. Suit a tall person, extremely comfortable. Cob size. This is basically a halter with attachments that are cheek pieces to hold the bit. 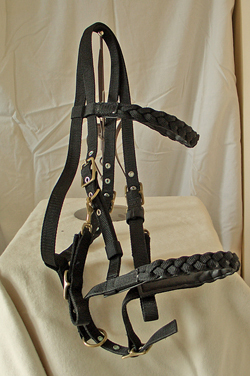 Useful for hacking and trail riding as you can unclip the cheek pieces and tie your horse with just the halter. I mislaid the rains. 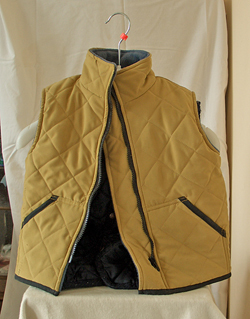 Lovely Kids sleeveless jacket, warm with blue lining, Suit 5-6 year old as Conan has just grown out of it. 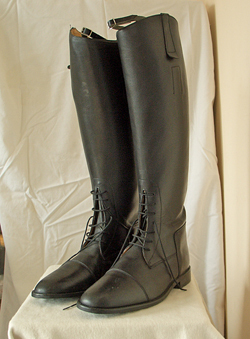 Nearly new leather quality 'Regent' long riding boots. Style 22404 and it is UK 11and a half. Additional questuons please email us. 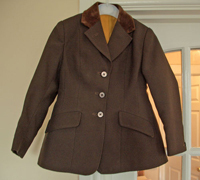 A vintage Harry Hall Childs Riding Jacket. 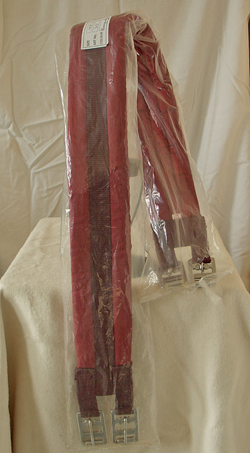 The jacket measures 24" chest, 11.5" inside arm, 19" from the base of the collar down the centre of the back to the hem. I would think that it would fit a 5/6 year old? 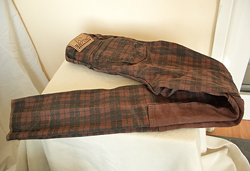 The inner lining is burnt yellow, which contrasts very well indeed with the rich chocolate brown of the jacket. The inner gold on black label says 'Harry Hall, Made In England'. The jacket is 3 button single breasted with single button cuff detail. There is a button hole at the lapel, slant pockets on each side, darts to the front and a centre vent at the back. As you can see from the photograph, this charming jacket is of excellent quality and has great attention to detail, as shown by the super velvet collar. there may be more! Please email us with your request.